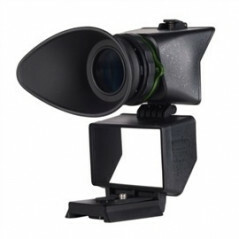 The Multi Finder LCD Viewfinder Uni Set from Varavon is a multi-functional viewfinder designed to better utilize the LCD monitor of a DSLR when shooting HD video. 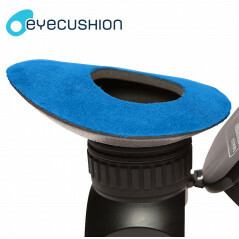 It provides a universal mounting plate, the LCD viewer and a loupe with eyecup that combine to create an adjustable yet stable viewing system compatible with numerous DSLRs. An aluminum alloy universal plate provides a sliding 1/4"-20 bolt that mounts the viewer to your camera. 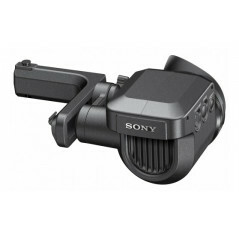 It attaches via the tripod socket and can adjust its width to align with the camera you are using. 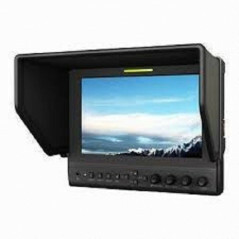 Its sturdy build holds the viewer in place. The 3.5" viewer will also adjust up or down to align with the LCD on your camera and its rubber mount rests snugly against the LCD. 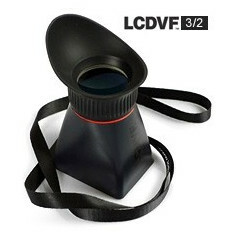 The viewer can be used as a simple sun shade but also contains a mirror and can be utilized as a waist-level low-angle viewfinder. 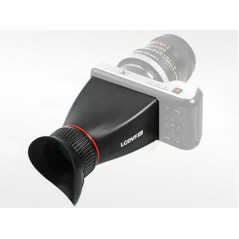 With the viewer open and locking lever released, you can insert the loupe with eyecup in order to film as a stabilized, straight view finder. The loupe's focus is adjusted easily with a conveniently placed dial. The Multi Finder Uni Set will fit numerous DSLR cameras including the Canon 5D Mark II and the Nikon D800 and with its ability to adjust upward it can work with the Nikon D4 or cameras with a battery grip attached. With adjustable screw placement, support bracket and width alignment, the aluminum alloy universal plate can be mounted on numerous cameras including Canon 5D Mark III, Nikon D800 and D4.